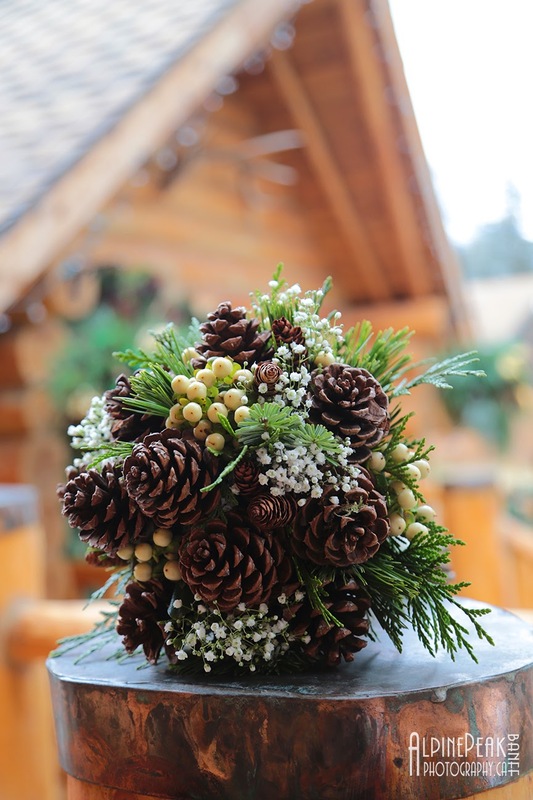 and fir branches, very Rocky Mountain style and we loved it! 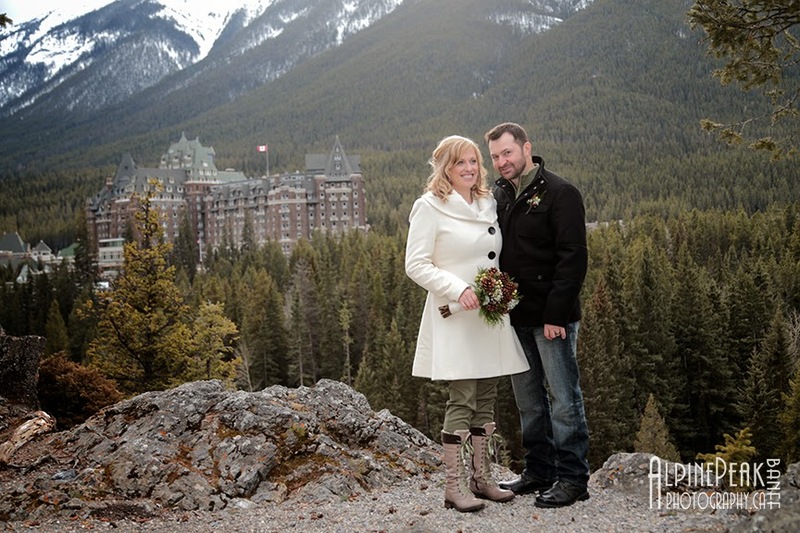 It was a beautiful day in Banff. 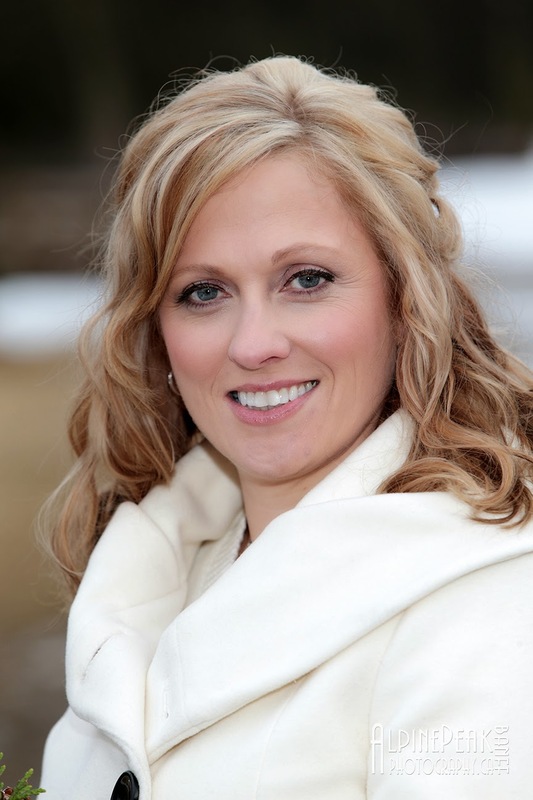 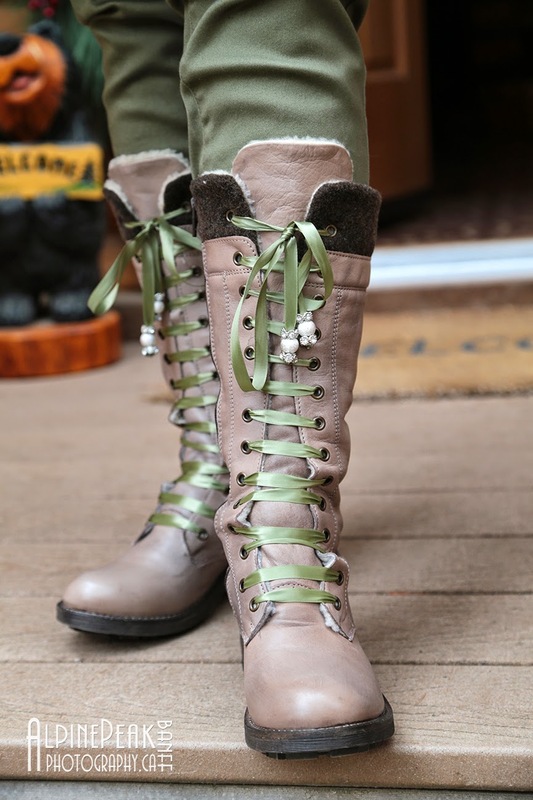 Trina's boots were perfect, the green ribbon lace elegantly complemented her outfit. 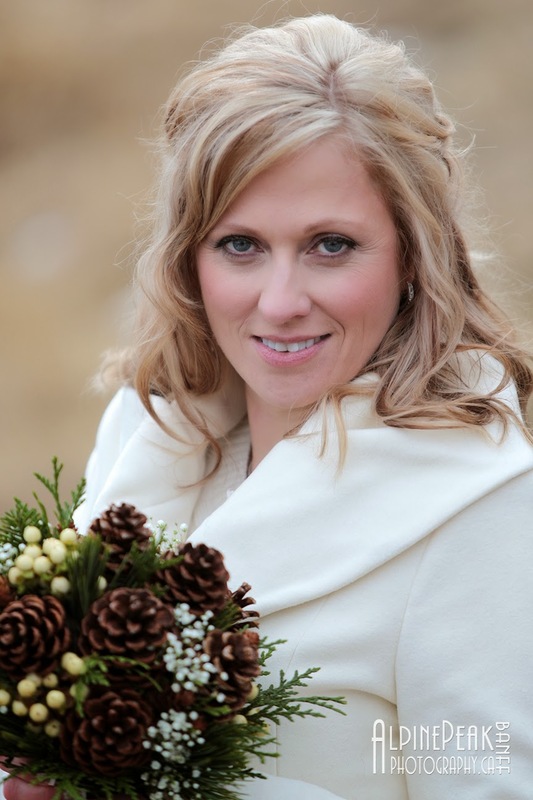 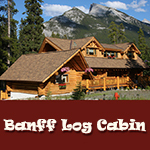 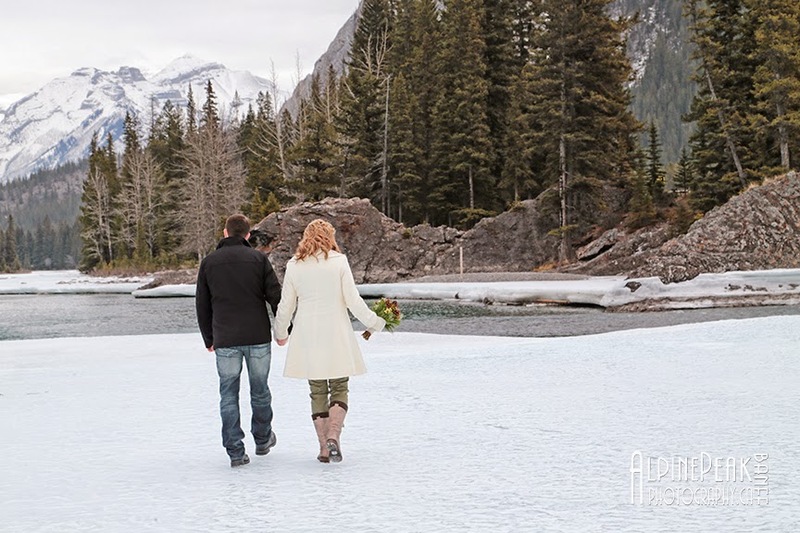 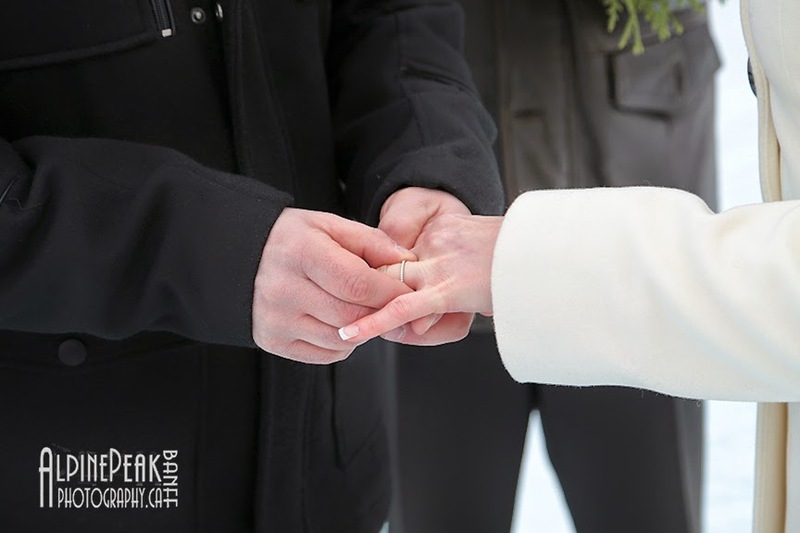 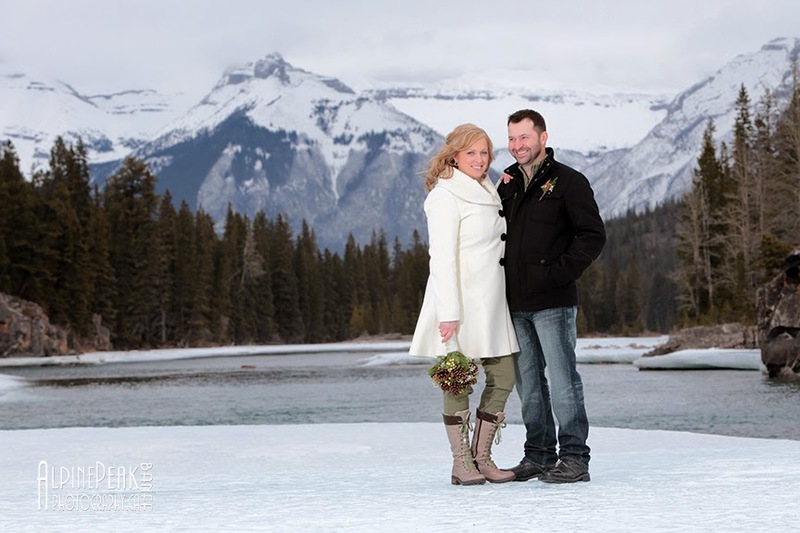 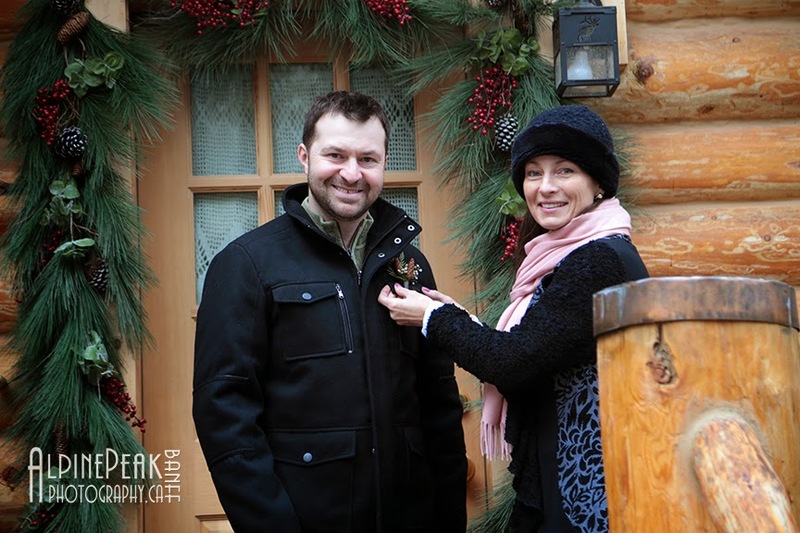 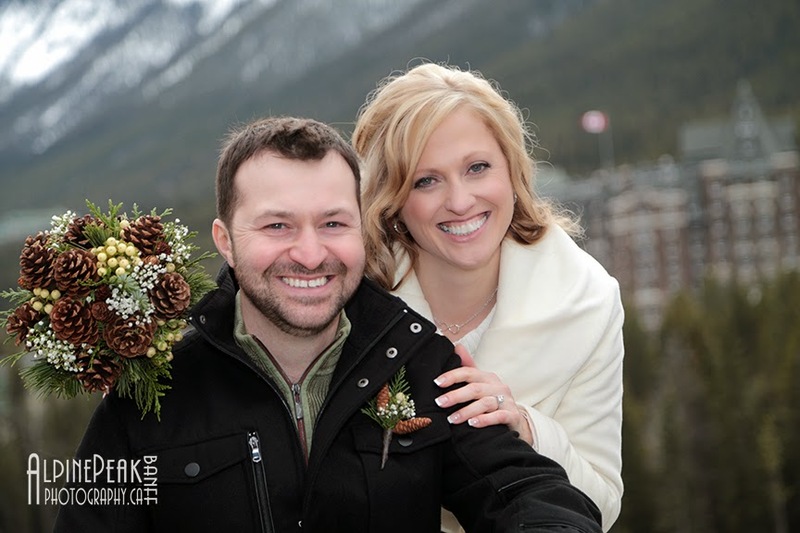 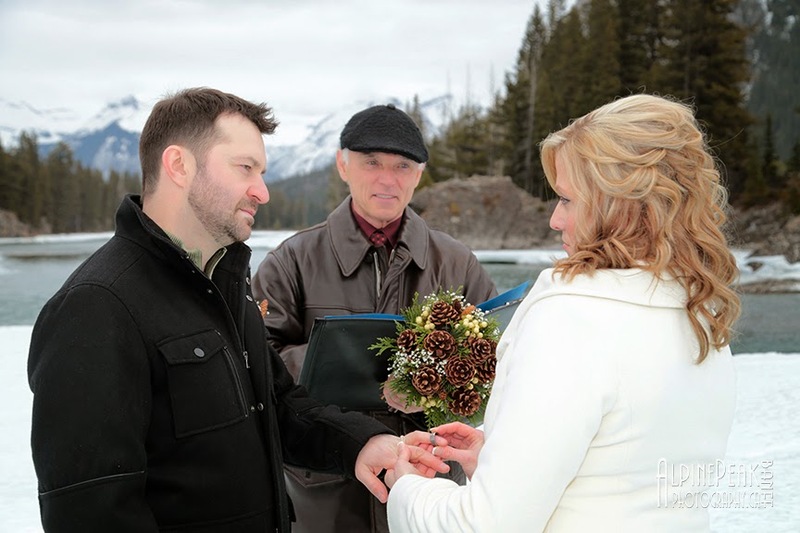 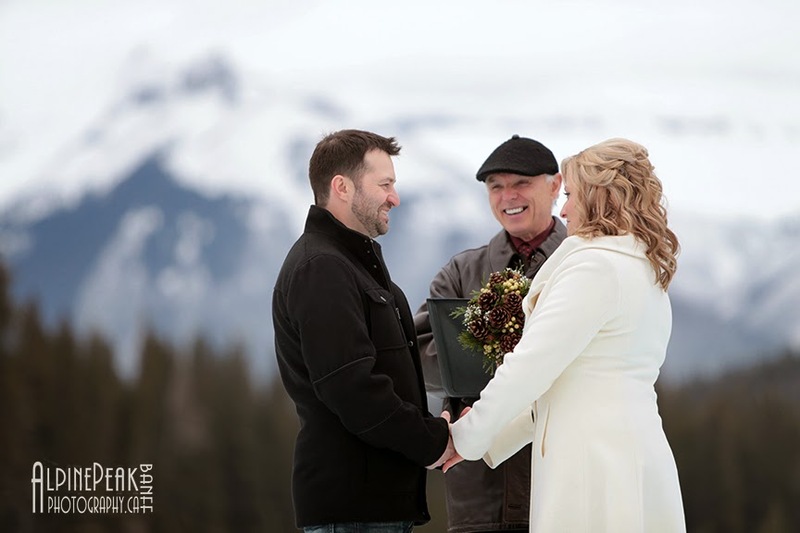 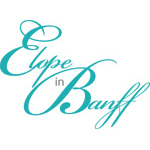 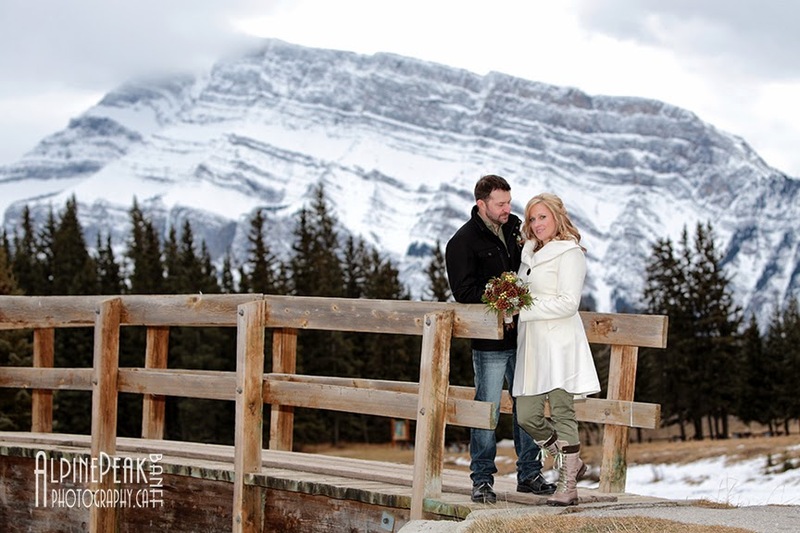 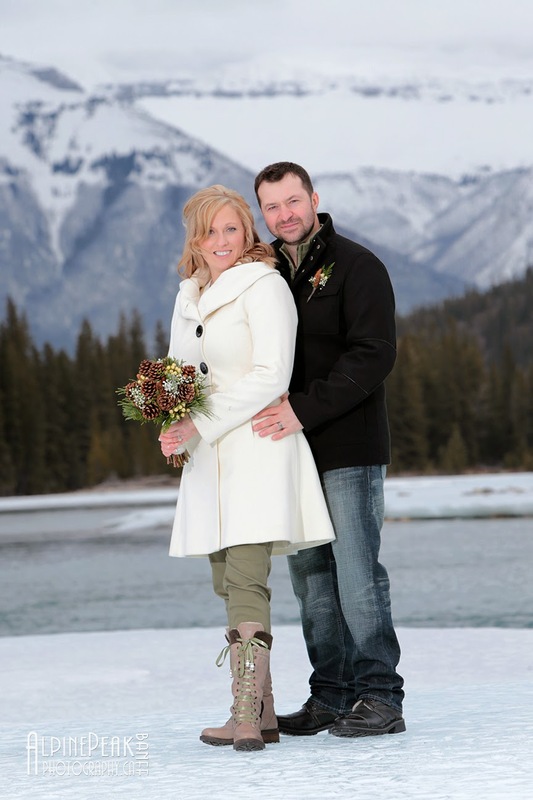 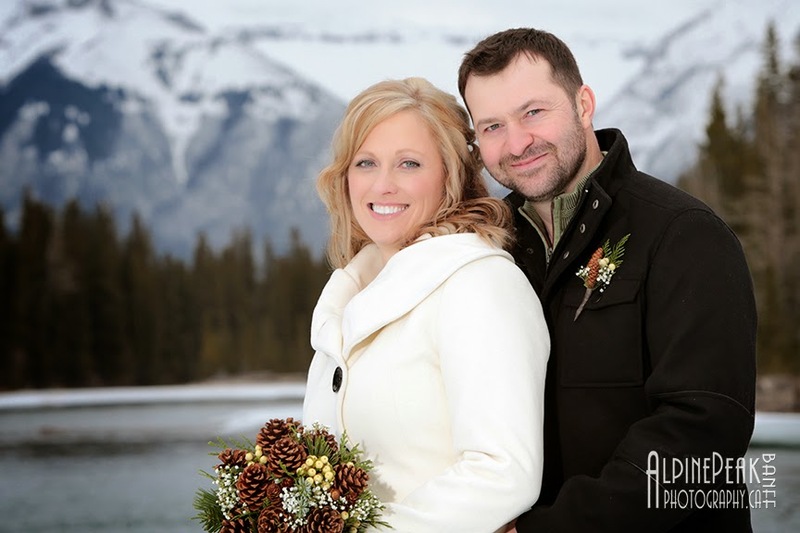 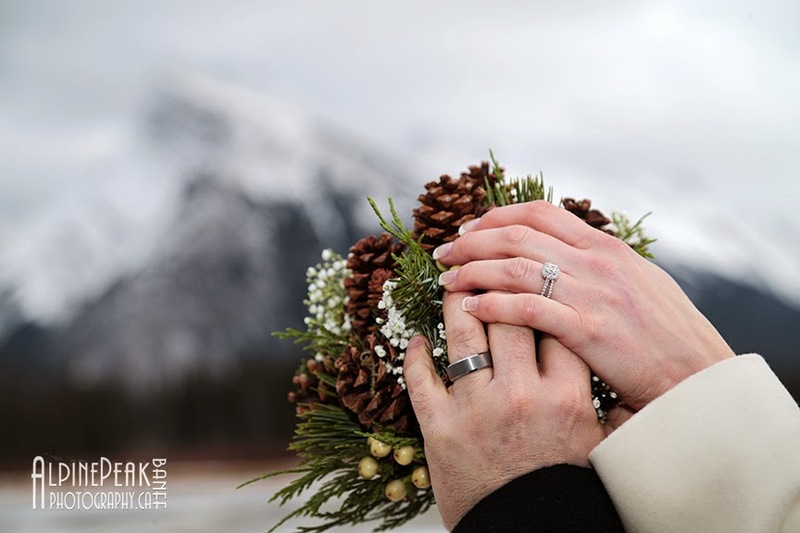 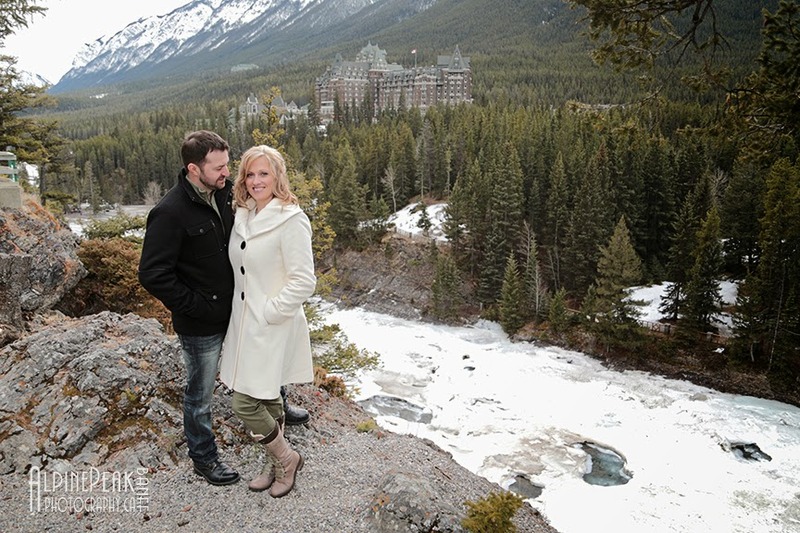 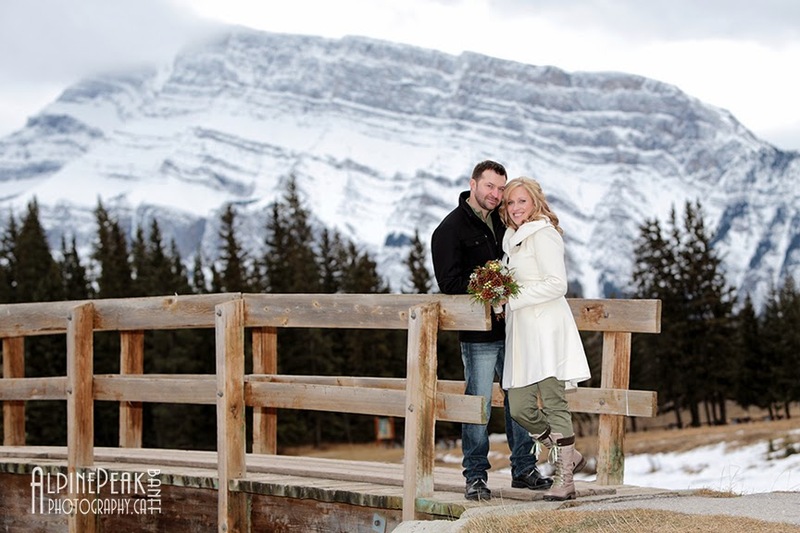 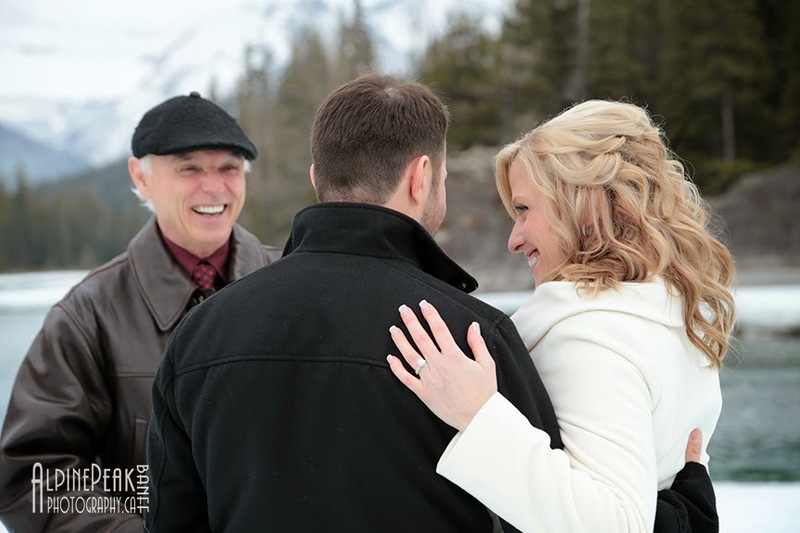 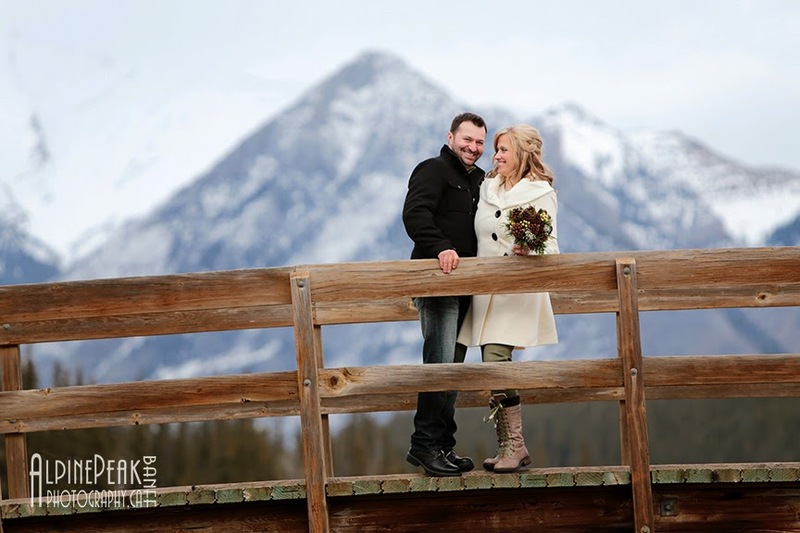 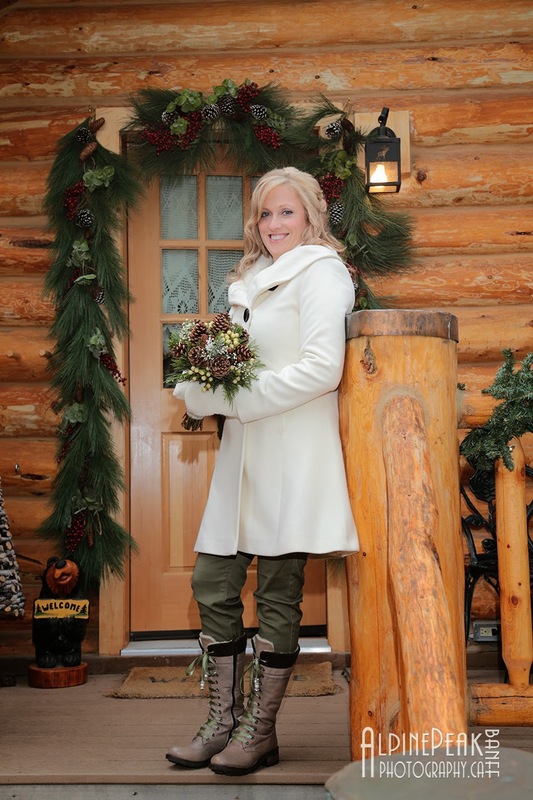 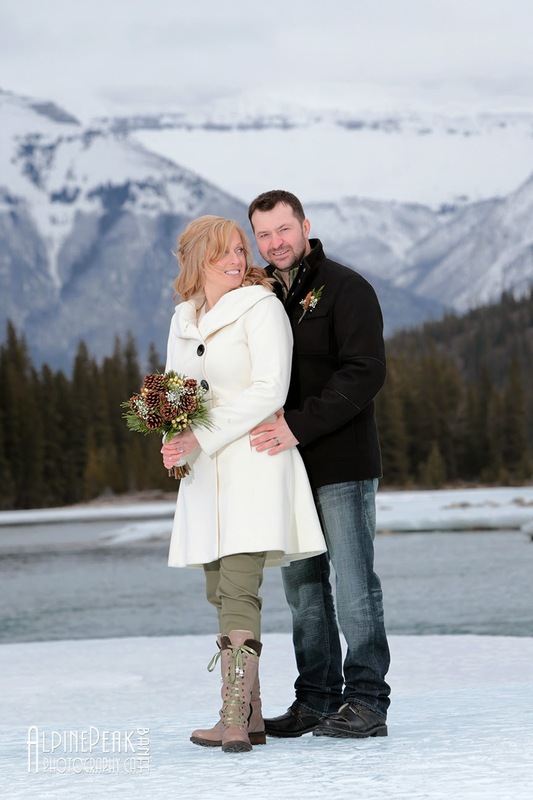 The couple chose to stay at the Banff Log Cabin (AKA The Honeymoon Cabin). 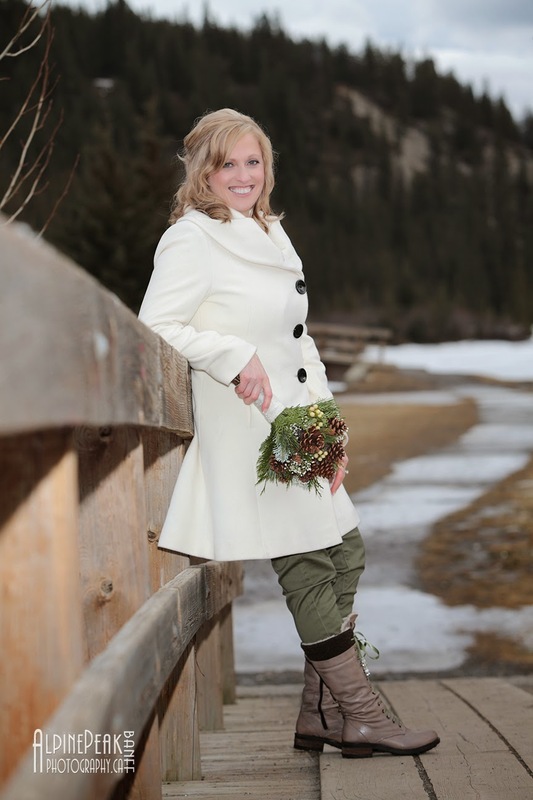 Wedding planner Sharon helped put all the details together. 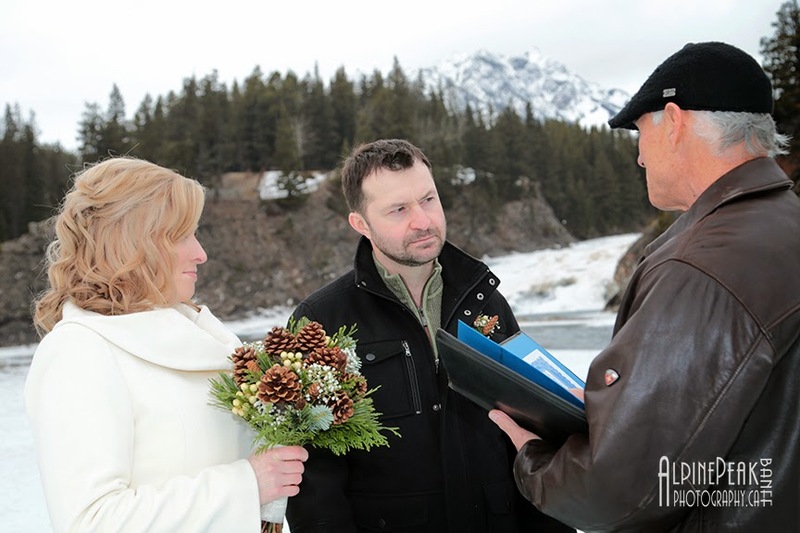 (yes in the middle of the river)! 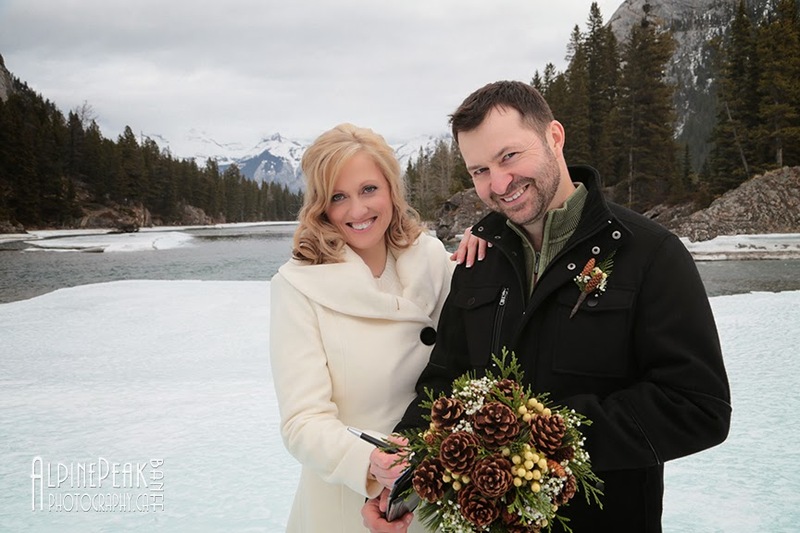 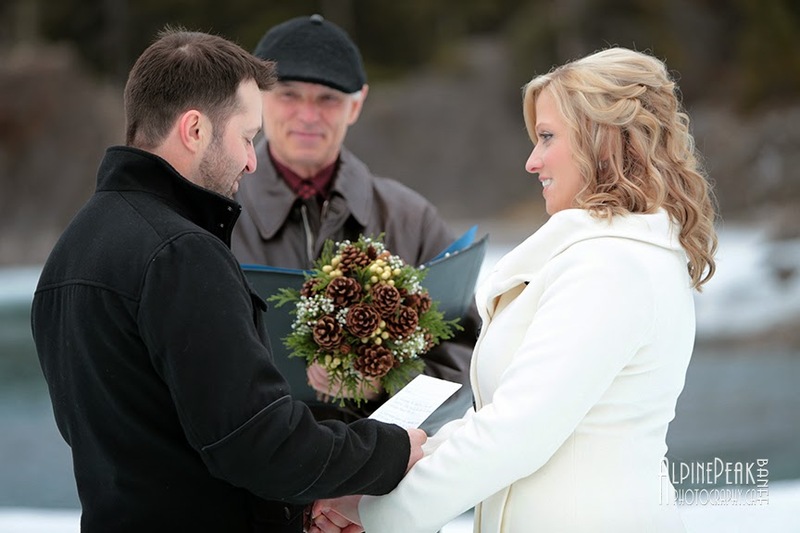 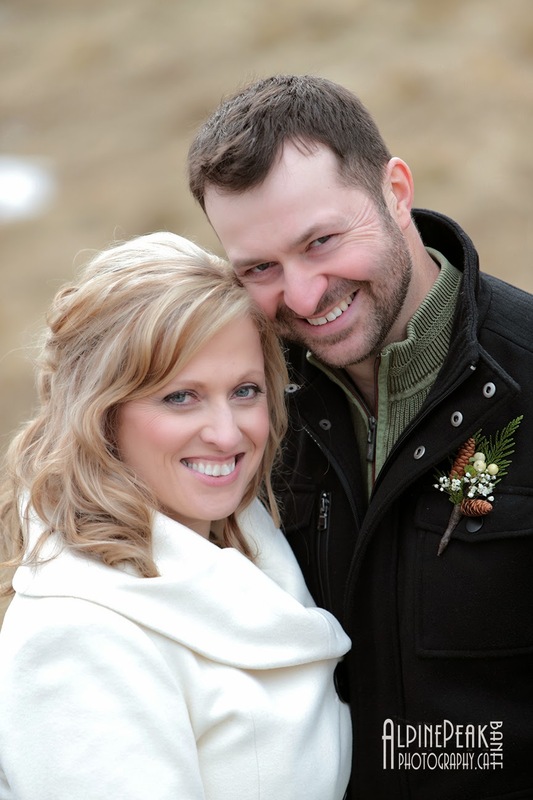 Trina & Greg chose to include personal messages to each other during the ceremony. 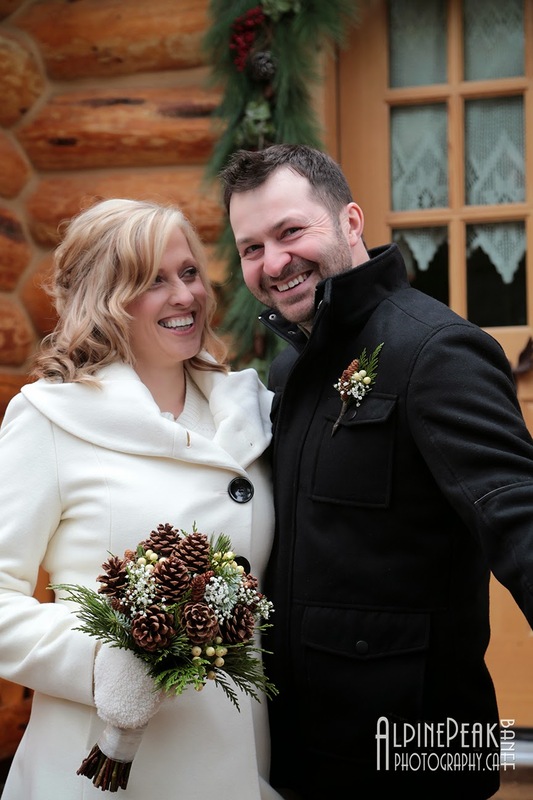 they had a terrific sense of humor, and we spent the whole day laughing. 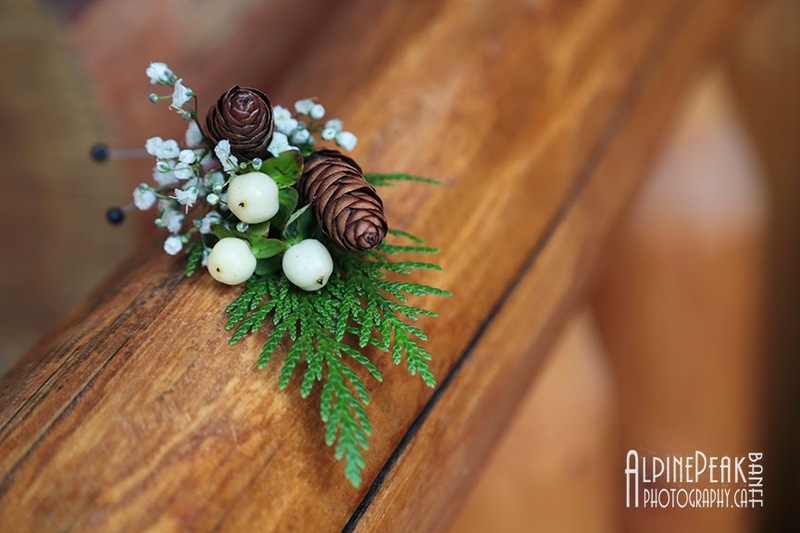 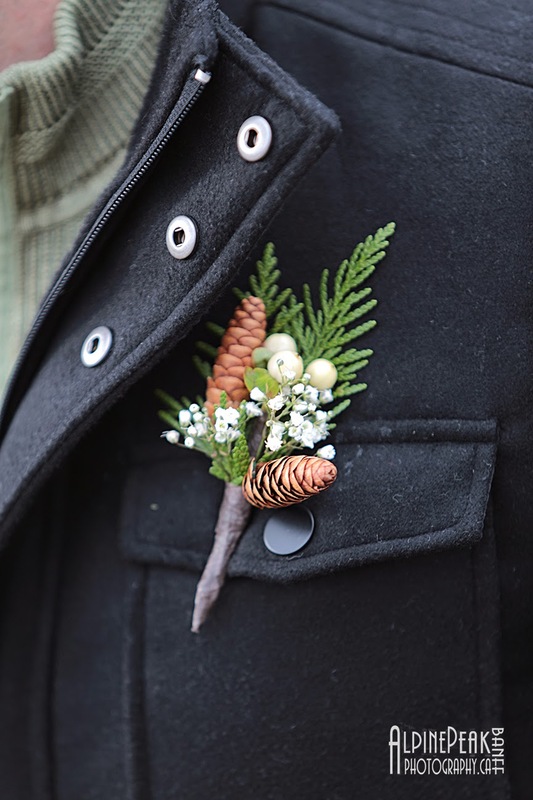 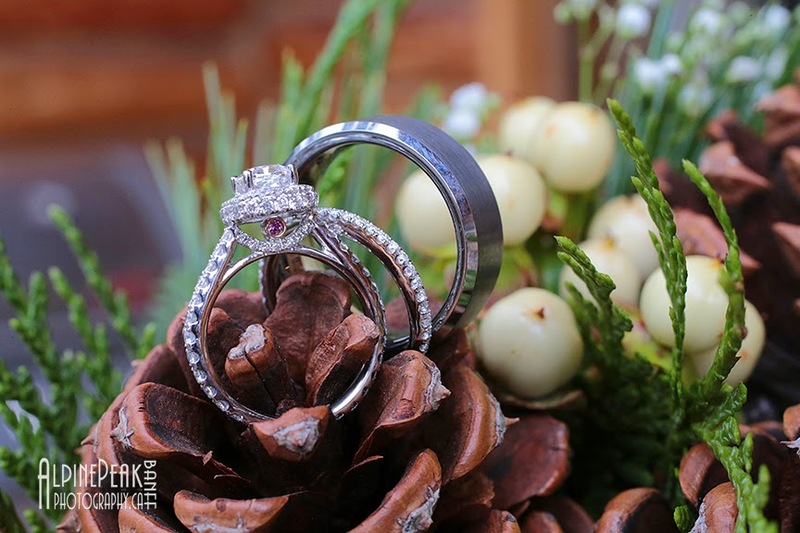 The boutonniere was made with miniature pinecones to compliment the bouquet. 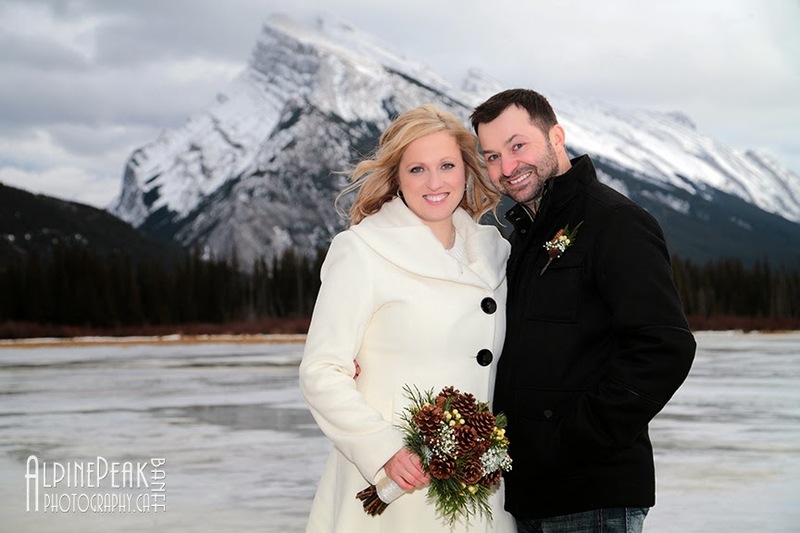 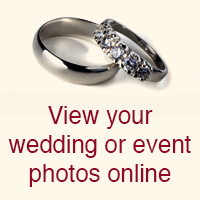 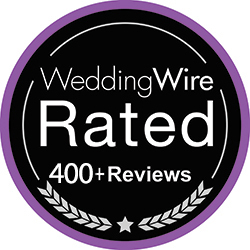 Congratulations to Mr & Mrs Furlong.